In 1939, Miami-based Private Detective Michael Shayne was first published in paperbacks by Davis Dresser (writing under the pseudonym Brett Halliday) and quickly became a sensational hard-boiled private eye who would appear in 77 novels and 300 short stories enduring from the 1930s through the 1970s. Shayne quickly made the leap to films with Lloyd Nolan playing Shayne in seven well-made B-movies between 1940 and 1942. There was another film series made in 1946-47 from the poverty row PRC films starring Hugh Beaumont. Shayne was also big over radio. The first series of Michael Shayne Adventures aired over the West Coast Mutual network as Michael Shayne Private Detective and starred Wally Maher as the lead. The series took its lead in many ways from the Nolan movies with a lighter touch. It officially had the Shayne character in Oakland rather than Miami. It featured well-characterized tales, solid mysteries, and great chemistry amongst the regular cast that was reminiscent of a later West Coast Mutual show Let George Do It. The second radio series was The New Adventures of Michael Shayne, produced by Bill Rousseau and starring Jeff Chandler. In contrast to Mutual’s series, the New Adventures was one of the most hard-boiled radio detective series produced during the golden age of radio and was set in the mysterious city of New Orleans. The series was syndicated from the mid-1940s and for decades afterwards. The final Michael Shayne radio series was The Adventures of Michael Shayne which aired from 1952-53 over ABC. It managed to have three different leads in its first fourteen weeks but had the virtue of being set in Miami. Michael Shayne made his way to television much later. In the late 1950s on an episode of the TV anthology series, Decision, Mark Stevens played the detective and the episode was repackaged as a pilot for a TV series that was never made. In 1960, the series was produced with former Mr. and Mrs. North star Richard Denning starring as the lead. It was a well-made detective series. Unfortunately, it aired in an era that was awash in great detective shows and it wasn’t exactly faithful to the books, a fact that many Michael Shayne novels of the era poked fun at. In addition, Michael Shayne had a comic book tied into the TV show. Like many characters of the era, Michael Shayne went through a wide variety of iterations to please various audiences: from the tough private eye of the books and New Adventures series, to the lighter approach of Lloyd Nolan and Wally Maher, to the typical early 60s PI played by Denning, there are many different interpretations of the character. Yet, to those who know, the name of Michael Shayne is still remembered for quality detective fiction regardless of the iteration. Wally Maher (1908-51): Wally Maher was a great character actor who played a wide variety of film and stage roles as well as having a successful radio career. Maher distinguished himself on programs such as Suspense, The Lux Radio Theater, and The Cavalcade of America. Outside of Michael Shayne, he’s best remembered for his supporting work as Lieutenant Riley in Let George Do It and Matt Grebb in The Line-Up. He also originated the voice of Screwy the Squirrel in a series of cartoons. 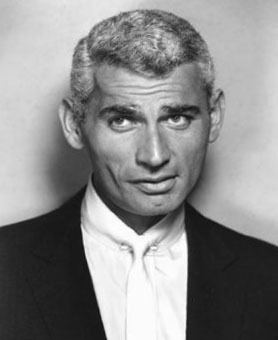 Jeff Chandler (1918-61): After World War II and an injury from a car accident that temporarily marred his good lucks, Chandler became a radio actor noted for his starring roles in Michael Shayne and Frontier Town before landing the role of “bashful biologist” Mister Boynton on Our Miss Brooks. 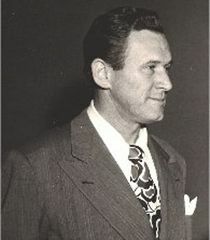 Chandler was vaulted to stardom with his performance as Cochise in Broken Arrow, and would spend much of the 1950s as a much-sought after and popular actor as well as a producer and signer. New episodes posted every Monday.